The Mauritius fruit bat is also known as the Greater Mascarene flying fox. Once there were three fruit bat species, one is now extinct, leaving one species each on the islands of Mauritius (Pteropus niger) and Rodrigues (P. rodricensis). Once widespread over Mauritius, the Mauritius Fruit Bat population has decreased considerably due to habitat loss, cyclones and illegal sport hunting. Although this bat became extinct on Reunion, where it was last recorded in 1790, the island has been recolonized by a handful of individuals over the last decade. Largely due to a lack of major cyclones over the last decade, the population increased shifting its IUCN Red List status from Endangered to Vulnerable in 2014. However in November 2015, the Mauritian government introduced a new act, legalising the cull of these creatures on the basis that they were a major threat to exotic plant species. This caused an outrage among local wildlife conservation organisations. The general public consider the Mauritius fruit bat as a major pest to exotic fruit crops, mainly litchis and mangos, although the real extent of their damage to these fruit crops has only recently been studied. The Mauritian government reported 42% to 73% damage to litchis and mangos attributed to bats, but ignored the fact that damage to fruits are also caused by introduced birds, winds and diseases. Awareness amongst Mauritian people of the levels of damage the bats actually cause to fruit production. The value of bats to the ecosystem. The advantages of pruning trees and netting. 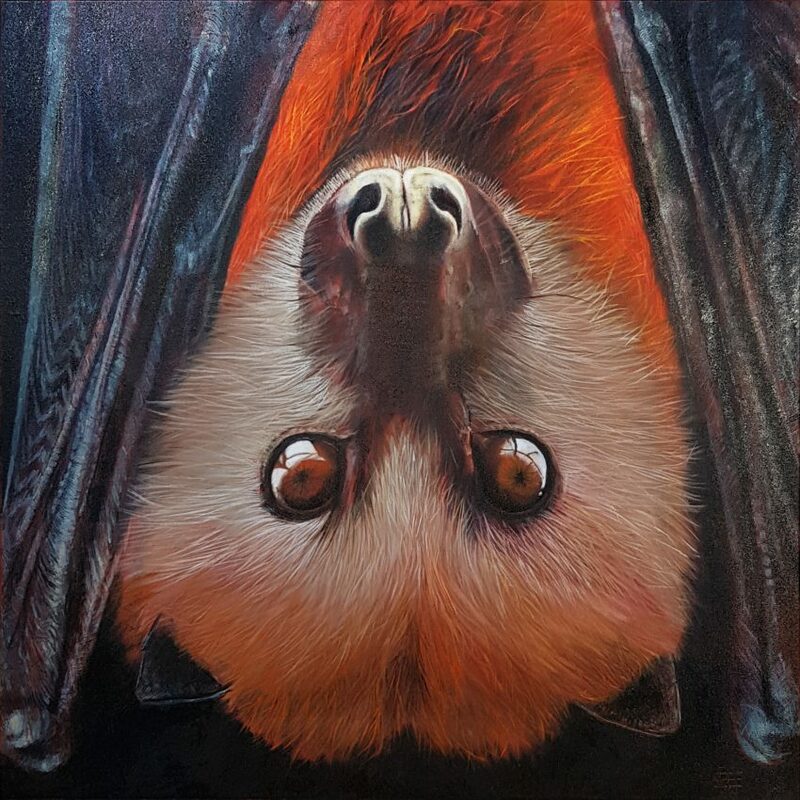 Opposition to culling and a positive image of bats.